Creamy, delicious pudding isn’t usually considered a health food however a new functional pudding from Los Angeles, CA-based NEWtritious Functional Foods and Beverages might change that perception. The company recently initiated a clinical trial with Medicus Research to study its specially formulated Kherb Appeal weight loss pudding in an effort to demonstrate its efficacy on weight loss and satiety, while improving metabolic functions regarding lipids and blood glucose levels. According to Michael Arlen, founder and president of NEWtritious, Kherb Appeal instant pudding was formulated be a nutritious appetite suppressant that helps maintain energy levels and sustain satiety (without harmful stimulants), and provide the necessary daily-recommended intake of vitamins, minerals and fiber. Kherb Appeal contains ingredients that provide the mechanisms associated with weight loss, including increasing satiety, delayed gastric emptying, balancing gut flora, increasing insulin sensitivity, inhibiting fatty acid production, reduction of triglycerides, and reduction of lipids. Mr. Arlen pointed out Kherb Appeal’s key ingredients responsible for satiety/cholesterol. Among them are Super CitriMax for the support of healthy weight without stimulating the central nervous system; PhosphoLean proprietary phosphobioflavonic complex which works by “switching off the feeding signals in the brain and increasing fat oxidation,” resulting in “decreased appetite, which leads to reduce food intake and weight gain”; and Well Trim, an all-natural, proprietary blend of Irvingia gabonensis (African Mango) seed that has been “used as an appetite suppressant and shown in clinical trials to help individuals eat less and lose weight, with remarkable improvements in their blood glucose levels.” In addition to African Mango seed extract, the pudding also contains soluble and insoluble fibers such as Glucomannan Konjac Root and Gum Acacia and Cellulose. As a “delicious pudding,” NEWtritious said its instant Kherb Appeal product easily whips up into an indulgent dessert, or if more water is added the product can be consumed as a nutritious shake. Kherb Appeal is available in seven flavors: Deep Dark Dutch Chocolate, Aztec Chocolate, Chocolate Mint, Lemon Meringue, Strawberry Kiwi, Dulce de Leche and Green Tea Citrus. This current Kherb Appeal trial will examine the pudding’s effect on weight loss and satiety for an overweight and obese population, as well as in a population with impaired glucose tolerance. The 14-week study will include 160 participants and is targeted to conclude in August with results to be published at the end of the year. As a partner in the clinical trial, Medicus Research designed the SysteMedicus technologies to visibly prove accuracy and compliancy through a real-time recording on Apple® mobile devices including iPads and iPods. The technology is said to help eliminate the potential for inaccuracies caused by human error and lack of off-site monitoring of participants. The patent pending SysteMedicus technologies include eConsent, eSource and eCompliance technologies which all ensure that the information is collected according to the FDA ALCOA standards (accurate, legible, contemporaneous, original, and attributable). This includes enhancing and documenting the informed consent process, and documenting accurate compliance of participation in the study by imaging, facial recognition with time/date stamps, and video interaction on mobile/hand held devices. – See more at: http://www.nutraceuticalsworld.com/contents/view_online-exclusives/2012-04-23/satiety-pudding-put-to-the-test. Los Angeles, CA-based NEWtritious has launched HHice Cream Probiotic pro·bi·ot·ic n. A dietary supplement containing live bacteria or yeast that supplements normal gastrointestinal flora, given especially after depletion of flora caused by infection or ingestion of an antibiotic drug. 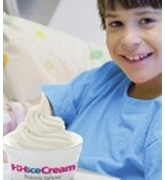 Defense (HHice Cream for short), a “Healthy Hospital” soft serve frozen yogurt mix. It delivers viable and potent probiotics along with a beneficial sewing of vitamins and minerals. The company claims it can be the perfect solution for those having difficulty swallowing or suffering from alimentary tract alimentary tract n. See alimentary canal. see alimentary canal, digestive system. alimentary tract abnormal motility includes hypermotility, hypermotility, stasis. in flammation due to chemotherapy or surgery. It also provides an enjoyable way to deliver nutrition to children during their hospital stay as well as healthcare professionals on the go. HHice Cream contains GanedenBC30 the trademarked name for the patented strain of probiotic bacteria, Bacillus coagulans GBI-30, 6086. In addition to Vanilla, 3 D Chocolate (Deep Dark Dutch) and Tart, hospitals can purchase flavored syrups or powders that blend with the Tart Mix for an assortment of soft-serve varieties, including: Almond, Banana, Blueberry Coconut, Green Tea, Kiwi, Lemon Ice, Lychee, Mango, Mint, Passion Fruit, Peach, Pistachio pistachio (pĭstăsh`ēō, pĭstä`shēō), tree or shrub (of the genus Pistacia) of the family Anacardiaceae (sumac family). The species that yields the pistachio nut of commerce is P. , Pomegranate pomegranate (pŏm`grănĭt, pŏm`ə–), handsome deciduous and somewhat thorny large shrub or small tree (Punica granatum , Raspberry, Strawberry and Strawberry Banana. The company has also launched Kherb Appeal, an instant pudding designed to promote weight loss. The product contains an “excellent source” of soluble and insoluble fibers such as glucomannan konjac root, African mango seed extract, gum acacia and cellulose. Kherb Appeal uses bio-available forms of ingredients. The product can be made into a pudding, or with more water added can be a nutritional shake. It is available in Deep Dark Dutch Chocolate, Aztec Chocolate, Chocolate Mint, Lemon Meringue, Strawberry Kiwi, Duke de Leche and Green Tea Citrus flavors. COPYRIGHT 2012 Rodman Publishing No portion of this article can be reproduced without the express written permission from the copyright holder. Utilizing NEWtritious™ Kherb Appeal™ Weight Loss Product, the Medicus Research SysteMedicus cutting-edge technology will ensure accuracy in participant consent, compliance and documentation. The result will establish a new gold standard for clinical trials. NEWtritious™ Functional Foods & Beverages and Medicus Research announced today that they have filed documents with the IRB (Internal Review Board) overseeing the study, officially beginning the clinical trial for the Kherb Appeal™ weight loss formulation. Utilizing a progressive new protocol for providing accuracy and authenticity in clinical study compliance, the parallel studies will test the NEWtritious™ Kherb Appeal™ weight loss product to demonstrate its efficacy on weight loss and satiety as a snack replacement for dieters, while improving metabolic functions regarding lipids and blood glucose levels. The goal is to establish Kherb Appeal™ as a functional food proving that this synergistic matrix of ingredients will be the new paradigm for healthy weight loss, and institute a much-needed accurate standard for clinical trials now and in the future. Medicus Research designed the Systemedicus technologies to visibly prove accuracy and compliancy through a real-time recording on Apple® mobile devices including iPads and iPods. This technology helps to eliminate the potential for inaccuracies caused by human error and lack of off-site monitoring of participants. The patent pending SysteMedicus technologies include eConsent, eSource and eCompliance technologies which all ensure that the information is collected according to the FDA ALCOA standards (accurate, legible, contemporaneous, original, and attributable). This includes enhancing and documenting the informed consent process, and documenting accurate compliance of participation in the study by imaging, facial recognition with time/date stamps, and video interaction on mobile/hand held devices. Evaluated to be in overall good health – between 30 and 65 years of age. Body mass index (BMI) between 27 and 39.9 kg/m2. Participants judged by the Investigator to be motivated to lose weight. OGTT (75g glucola) peak value between ≥ 140mg/dl and ≤ 199mg/dl at screening visit. NEWtritious™ is a forward thinking fortified food and beverage company, which makes highly fortified nourishment, based on scientific information that has just recently been discovered or accepted by the scientific community. NEWtritious looks for innovative ways to help people find the healthy vitamins and minerals their bodies need to survive and thrive. Support for BREATHE LA is a natural fit for the company. NEWtritious founder Michael Arlen is a seasoned business leader; successful serial entrepreneur; resourceful out- of-the-box thinker; and respected mentor. His service to BREATHE LA’s Board of Directors as a visionary with persuasive consensus building skills has been invaluable in leading the organization through dynamic change.